The Detroit emergency manager spokesman has ticked off some reporters because he asked reporters to not leave him voice mail messages. His reasoning? They take too long to respond to. I don’t disagree with him. When I worked for a major police department, and there was a big case, it was almost impossible to keep up with voice mail. Emails were easier. With voice mail, I’d have to pick up the phone, dial, enter codes and wait to hear what the caller needed. Then I’d have to track the information down, find the person’s email and send it, or I’d have to return the call. With email, I could take a quick glance and determine immediately what the person needed. In my current position, I’m often in meetings and there is no way for me to answer a call. But if there is a five-minute break, I can pull up my email and quickly respond. Smart phones also help because I can always have my email at hand, which means that even in a busy airport where I can’t hear anything, I can quickly peruse my emails and respond. Voice mails and, more importantly, a phone conversation still have their place in business, particularly if you need to ensure understanding. Sometimes, having a conversation whether on the phone or face-to-face provides much needed clarity. In this era of technology, it makes sense to use the tools that make one most efficient given the setting. The other week a colleague asked me how much time I slept because he thought I was one of those people who only needed a few hours. It was the only way he could figure out how I do as much as I do. The truth is I need sleep, and at least 7 hours. Any less and I’m cranky and not on my game. More than eight hours, I get a headache. My success is that I am able to prioritize and focus. But not always. Sometimes, I trick myself and set a timer. Until the timer goes off, I have to write, or clean, or pay bills. Sometimes I buy a venti-sized coffee, extra hot, shut my door and work for hours – or at least until the coffee is gone. When I’m not getting much done, I stop and look at how I’m spending my time. I’ve discovered I most likely could have built the Empire State building in record time. 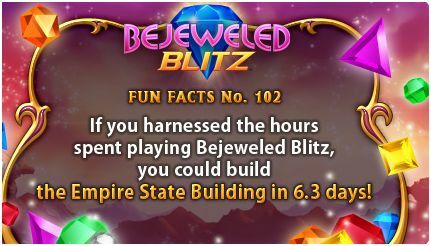 Or walked a few times across the Wall of China – at least according to the statistics for how much time people spend playing Bejeweled. I’ve contributed many hours. Television is another time zapper, and most people know that. For me, though, getting lost in a good book can zap my time. If I really want to put off getting work done at home, I’ll delve into an extra long book and try to justify the time even though I know better. We all need to decompress, but it’s also important to ensure that we aren’t simply wasting time or avoiding a deadline. Do you know what your time wasters are? Are you the boss of your life? It’s a question that when I saw it stopped me in my tracks – literally. I was walking through an airport and the question was part of an advertisement for the Lincoln Financial Group. Inspiration strikes at an airport (photo by Cynthia Price). I stopped to look at the sign not because I wanted financial assistance but because of the other messages.The Lincoln Financial Group suggested it could be my Chief Life Officer and that it could help take charge of my future. 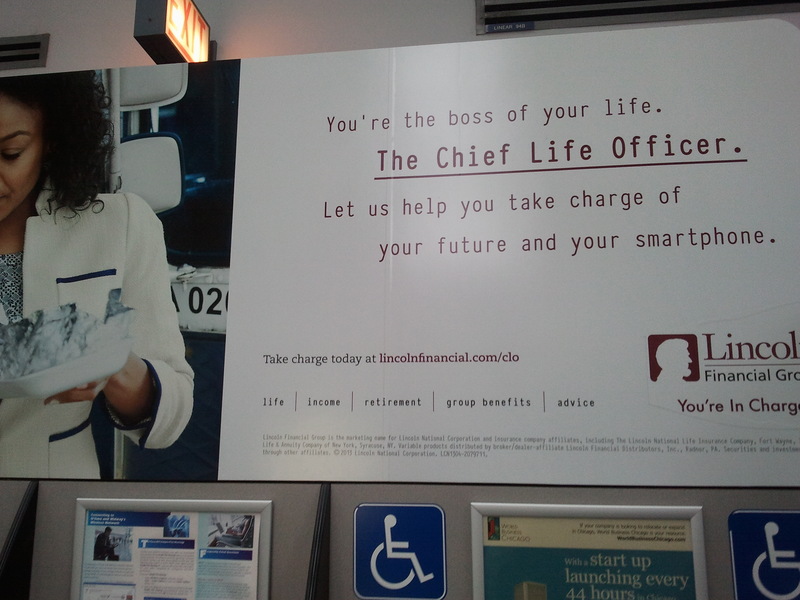 While waiting for my flight, I pondered if I was indeed my own Chief Life Officer. I thought about what I was doing to take charge of my life. I’d been working too many hours again and not hitting the gym. That’s not a good combination for me. I also wasn’t enjoying unscheduled time. To compound things, too many house projects were piling up, some of which could have disastrous results if not handled. I took advantage of the waiting time and made some lists. The first list I made was a workout schedule to follow while I was traveling. I achieved 75 percent of the goal, and overall was pleased. Since returning, I’ve created a two- week schedule, which seems more manageable to me. I’ll stick with that until I’m back on track. A second list included all the action items for my house that need to get done. I’ve made all the phone calls, and now I’m looking forward to crossing them off the list as the repair work gets done, which also means being careful with my funds. My first weekend back in town, I allowed myself the luxury of doing nothing. For me, that means getting lost in a good book, watching television, puttering around the house and cooking – but only when I felt like it. It also meant some naps – clearly, my body needed some extra sleep. The unscheduled time was much needed. The sign was a good sign for me. Are you ready to be your Chief Life Officer? The other day I saw a great infographic about different office personalities. Of course, I don’t fit any of them and I’m sure you don’t either! Seriously, I think we all have a tendency at some point to fall into a few of the categories so it’s good to be aware of them. The Chatterbox: While a 30-minute conversation to talk about last night’s episode of Sons of Anarchy may not be appropriate for the office, a 30-minute conversation that develops naturally around a work topic can be a good thing. The other month I ran into a colleague with whom I have not had much interaction. We decided to grab a soda and sit and chat. In the 30 minutes we covered a lot of ground and even resolved a few concerns we both had. The time was well spent. The Meeting Scheduler: I like to ensure that the dots are connected and find that meetings can be helpful for this. However, it’s often just as easy to connect with the key individuals by email and save the meeting for another time. Another option is to call a 5-minute stand up meeting to ensure that all bases have been covered. If a meeting doesn’t have a clear purpose, cancel it. The Email Overloader: Sometimes it is important to include multiple people on an email but at some point in the email chain it may be best to reach out directly to the one person who most needs the information. Another good thing to do with email is to clearly note in the subject line the purpose of the email. Is it for information only? Is an action required? If so, by when? The Noisemaker: Whether you work in a cube or an office, it’s good to be aware of the noise you make. The office in which I work has thin walls so sometimes when I am Skyping over a bad connection, I raise my voice. I need to be careful that I’m not disturbing colleagues who are right outside my work space. She didn’t suggest that we weren’t explaining our points well, but rather, that she wanted to be sure she understood. It suggested that she understood at least some of what was being said and that she also wanted to clarify some points. The goal, of course, was to make sure we were aligned in what we were saying and understanding. As a result of this conversation, when I interact with others, I’m trying harder to straighten my understanding. I’m focused on this topic because the global world is becoming smaller. A recent study about competitive advantage listed global thinking as one of the top 5 leadership qualities. Global thinking is defined as the ability to intuitively recognize the signals you get from others so you can effectively communicate with people from around the world. I also am at a global meeting with colleagues from about 60 countries. I definitely need to ensure I’m straightening up my understanding and not confusing anyone else. Simplifying language is a key to increasing understanding. I don’t need to speak louder, but I do need to avoid slang and idioms. And I need to use simpler words that have universal context. Another way to increase understanding is to simply get to know my colleagues. Each day there is time for personal conversations. Unlike in the U.S. where we always seem to quickly want to get to “what can I do for you and “what can you do for me”, these conversations are about building rapport and finding common ground. Yes, I’ll ask what their role is at work, but I also want to know about their outside interests and their families. I ask open-ended questions and look forward to learning more about each person I meet. The meeting also is wonderful because we are face-to-face, which always increases understanding. Being able to read a person’s confusion means I have to try harder. I’ll have many small conversations in quiet corners to straighten up my understanding. Each culture is different and, if possible, it’s good to know what is accepted and not. I’m aware of personal space, air kisses and handing out business cards with the details facing the recipient. If I’m not clear, I ask. Straightening your understanding is good no matter where your colleagues reside. Social media is woven into our lives and that means it should be part of a crisis communications plan. It also means that a breaking news story might not come from a network station or the newspaper. Today, it’s often the citizen journalists who are breaking the news. 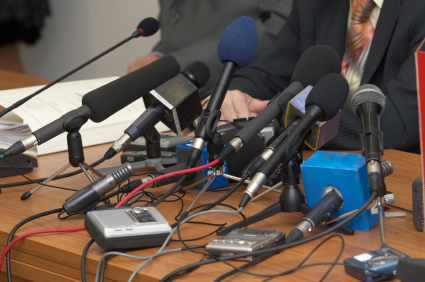 What is your organization to do?First, be sure you develop a crisis communications plan. It’s important to have a written plan in place and staff trained before a crisis strikes. Social media has cut the response time down from a few hours to 20 minutes. Next, be sure you are on social sites and cultivate your followers. When they post a question or comment, respond to it. Provide them access to information that they might not otherwise get. Look how President Obama used social media to drive his campaign. Monitor the social sites so you know what people are saying about you. However, you won’t always need to respond. If negative comments appear and you have cultivated your followers, “your champions will come speak for you,” says Ann Marie van den Hurk, a PR specialist bridging the gap between traditional PR and social media. If you have a crisis, create a dedicated Twitter account with an appropriate hashtag. Keep your website up-to-date. If there is a crisis, people are going to go to the site for information. If they can’t find the information, they are going to complain. If needed, dedicate the homepage to the situation. Finally, provide people, including journalists, with a way to contact you online. You’ll want to share the contact details on your social sites and website. Sometimes, nothing beats a phone call to more fully discuss an issue and clarify points.